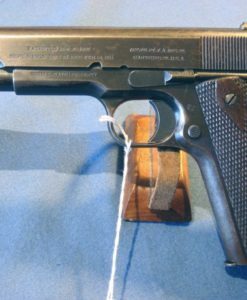 In 98% mint crisp condition we have an exceptionally rare 1945 Walther made, end of Nazi production “c” block ac45 coded P.38 Pistol. 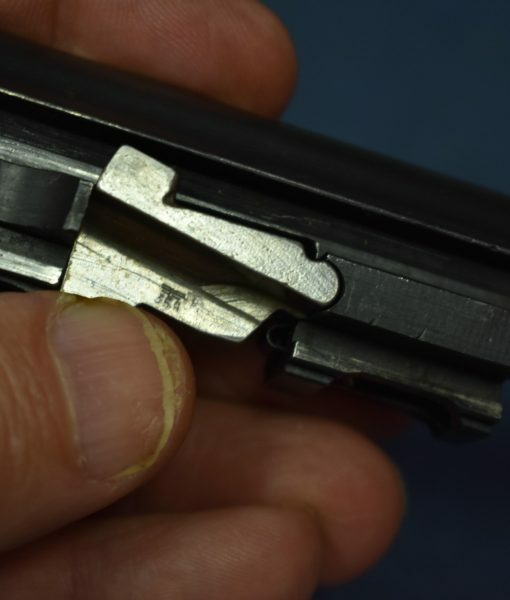 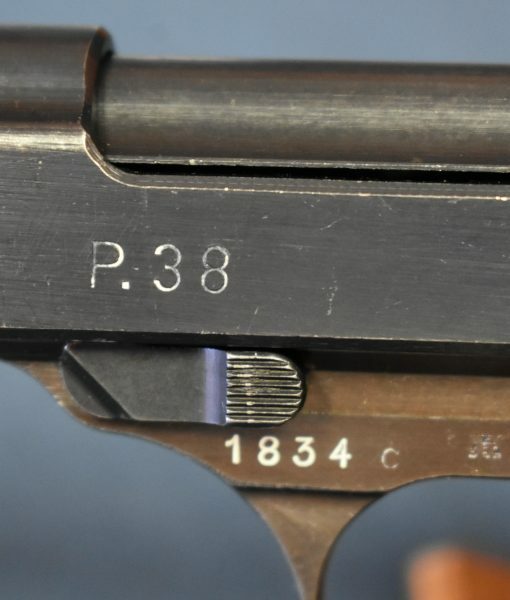 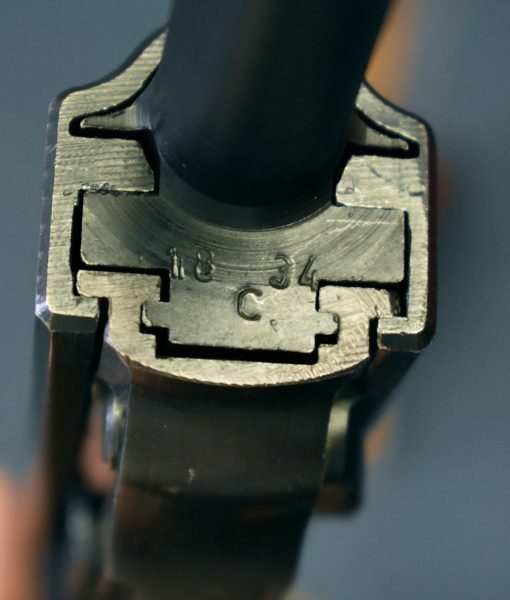 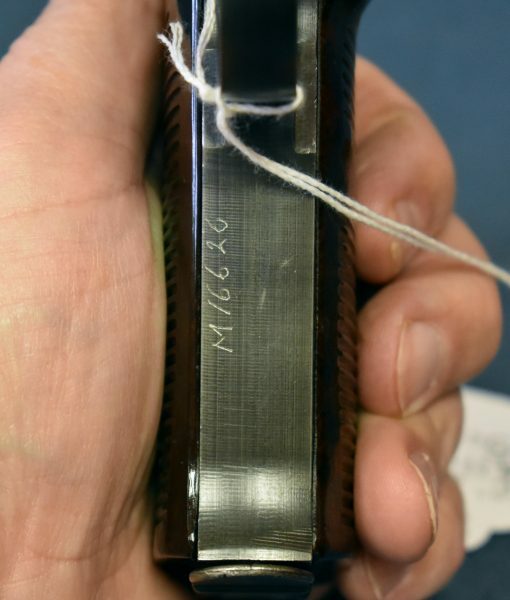 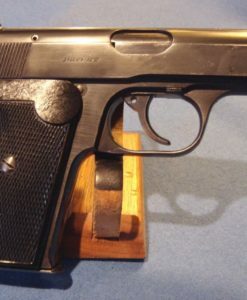 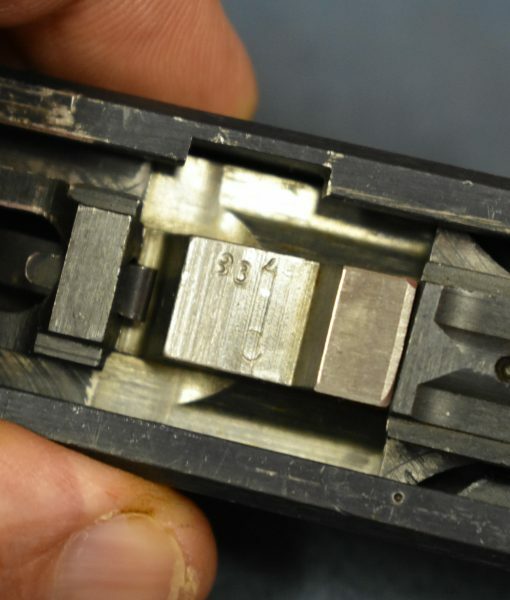 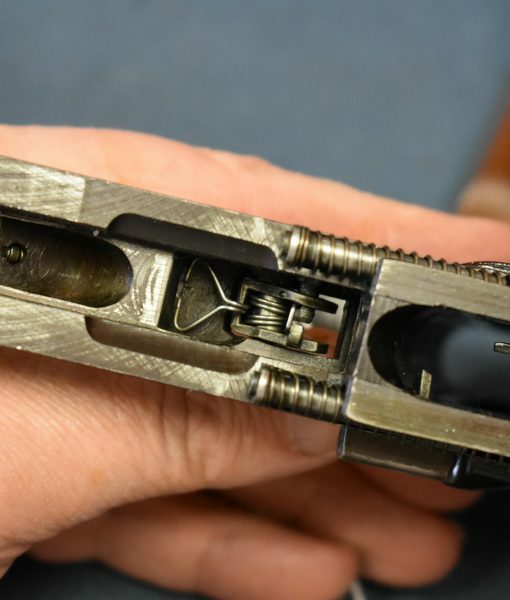 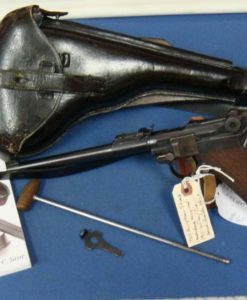 This pistol has numerous unusual features, the frame was manufactured by FN, there are numerous phosphated parts The bore is mint and the pistol is all matching though the locking block which is 359 proofed was never numbered. 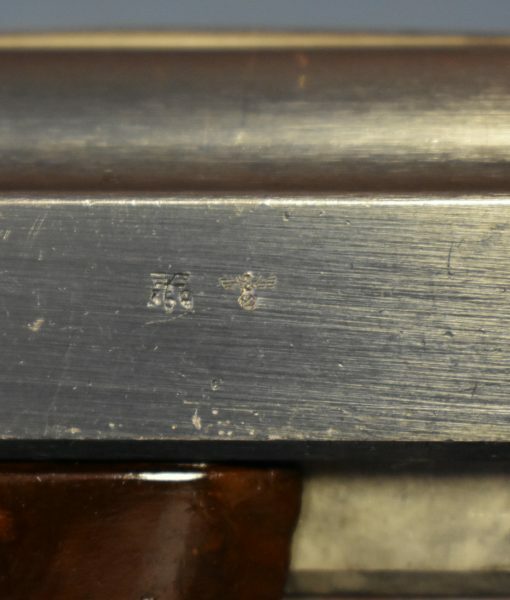 Apparently this is right at the end of production as it appears they were scraping the bottom of the barrel for parts, as the hammer is an earlier example with the 359 proof. 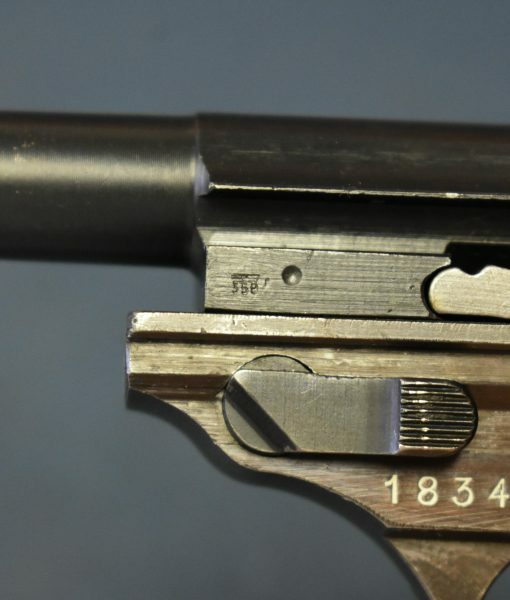 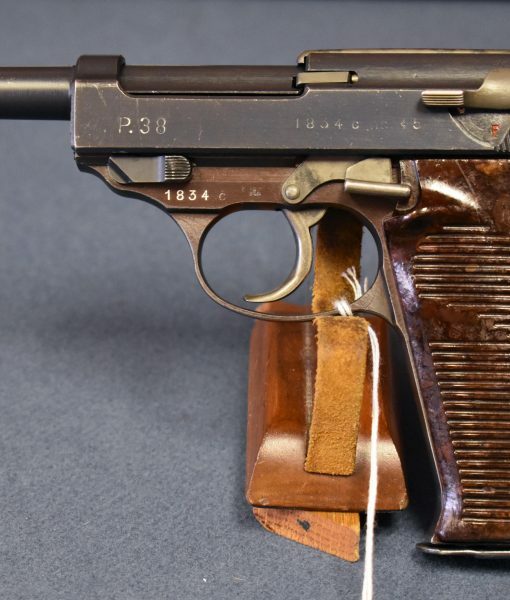 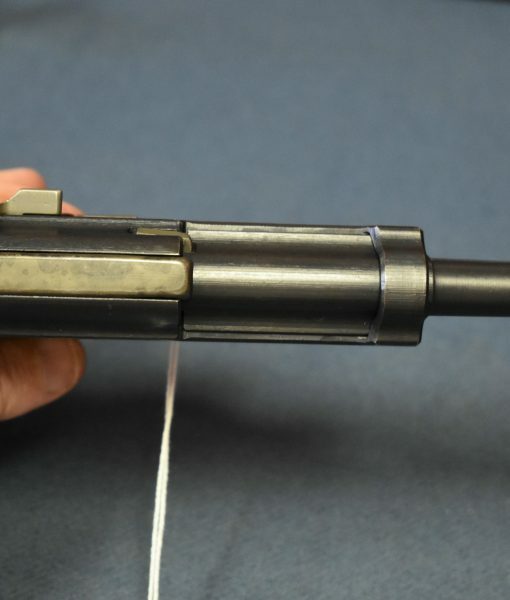 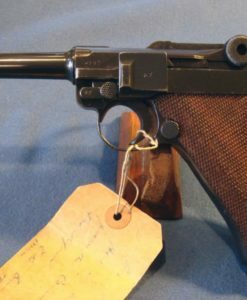 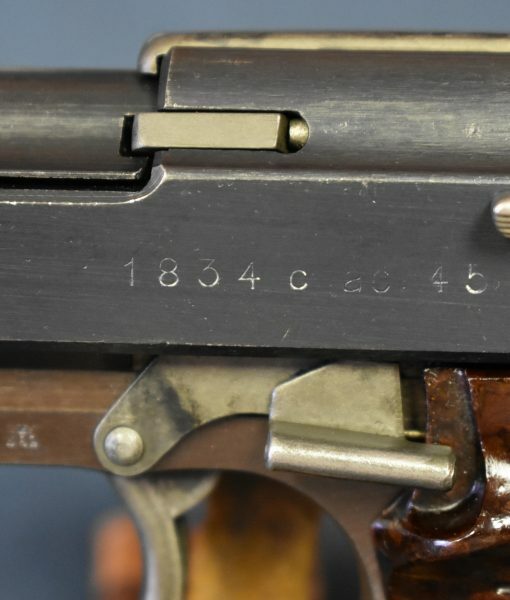 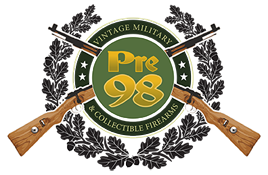 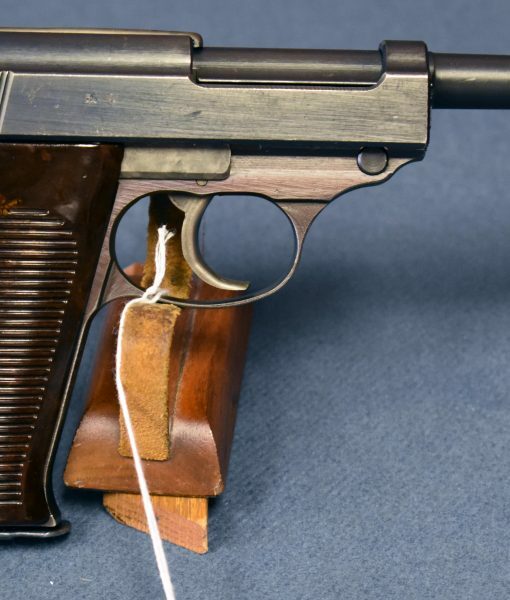 This was certainly on the assembly line when the factory was captured and as such it truly represents the final wartime variant as made by Walther and therefore is highly important to any serious P.38 collector.